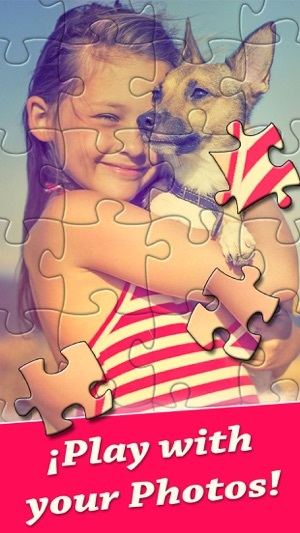 Jigsaw Puzzle - magic world is the best jigsaw app from AppStore. 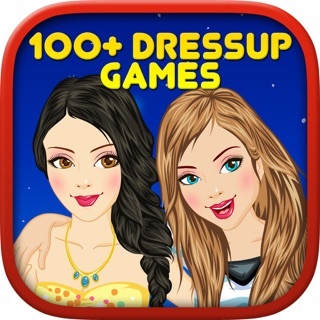 It is a highly addictive and relaxing game that provides endless hours of entertainment and fun for the whole family. 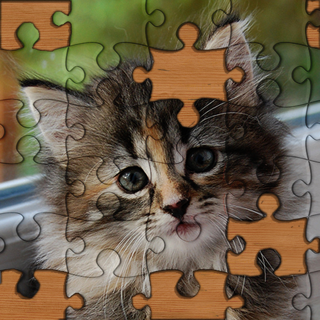 Get the #1 jigsaw puzzle game on Appstore. 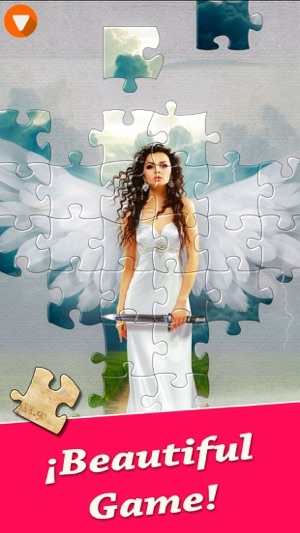 - A free puzzle every day! 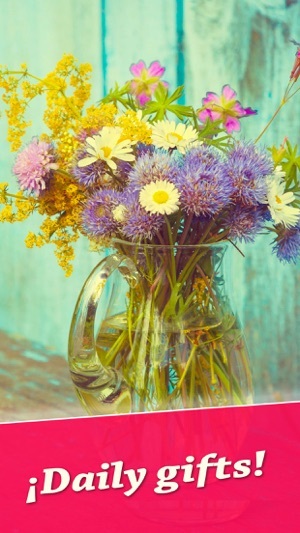 - Create and share puzzles from your gallery. - Tons of High quality images. - Great gameplay, easy to use. - More than 50,000 different shapes. 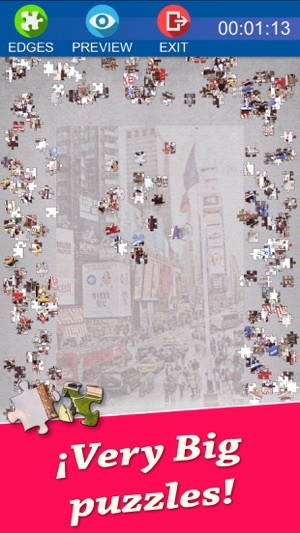 - Amazing jigsaws up to 2,000 pieces. * * * * * Awesome App - This is one of those apps that occupies your time and keeps you coming back for more. It truly stimulates the mind and totally serves the purpose of an app in the first place. Great Job. * * * * * Love it! - I can't stop building puzzles! Great app. * * * * * Tons of Fun! - I can't seem to put this down! Once I've finished one, I'm ready to start another one! Hours of fun, challenging, and worth every penny! 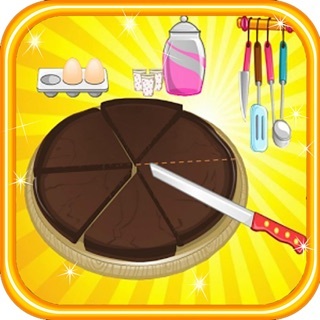 ¡Get it now and enjoy it for FREE! -Weekly subscription with a 7-day free trial. -Subscription automatically renews for the same price and duration unless auto-renew is turned off at least 24-hours before the end of the current period. -Account will be charged for auto renewal within 24-hours prior to the end of the current period at the cost of the chosen package (weekly, monthly or yearly package). -Any unused portion of a free-trial period, will be forfeited when the user purchases other package subscription. Solved a bug that crashes the game in some situations. Looks like you fixed it and I didn’t even have to remove it & reinstall it. So far so good. Thanks! Love this puzzle. I've done all of the updates. The last one was yesterday but unfortunately it still freezes on my iPad Air and the only thing to do is to get out of it & back in but then you have to start all over. Never did anything like that before I updated to OS11. It froze this morning when I tried to download the puzzle. So I just quit downloading it. Usually it’s when I'm in the middle of working on it. Then I have to start all over. Should have said that yesterday morning it froze when I tried to download the puzzle of the day then after a few seconds it just disappeared & went back to where I had to click on the icon again & start over. I was able to put the puzzle together last night even though once it seemed like it was going to freeze up but it didn’t. Whatever you did seems to have fixed the problem. It hasn’t frozen for about a week now. It’s fun to do the puzzles again. Thank you very much for getting right on it and fixing the problem! I have tried several different jigsaw games and this is the only one I have kept. It's very user friendly and you can see all the pieces at once.i play it all the time. When I had an issue getting the game while on vacation I emailed and they answered right away and helped me fix the issue immediately.I have been having problem with the game freezing constantly. The update did not fix it. It is very frustrating. Please fix this! My update is this: I can’t get into the game anymore unless I agree to pay $3.99 a WEEK?!? Thats ridiculous!! Is this permanent? Can you tell me if last version fixes this issue? I have played this app for over a year. My last 3 puzzles could not be finished. These are ones that I purchased. I was able to get the puzzles to the last piece but one was missing a piece, one had a piece from a different puzzle and one didn’t allow me to move a piece into place. I recommend you not purchase puzzles. My bad - the developer showed me where the missing pieces were. The developer was fast in responding to my original post. Can you please send me an screenshot of the problem?